One out of five Americans has a gym membership, but gym and fitness center owners want that number to increase. With summer right around the corner, this is the perfect time for gym owners to target customers looking to break their winter hibernation. More sunlight means more energy for hitting the gym or a Zumba class. These three tips will help you capitalize on this time of year and increase your membership sales. Many companies are hoping to target millennials as the cohort makes up 25% of the population and could provide revenue for decades to come. While millennials have more buying power now than ever before—estimated at over a trillion dollars—simply targeting millennials is not enough. Millennials are a diverse group of consumers with different wants and needs. Make sure you’re targeting a specific subset of this population. Tailoring your approach will allow you to better speak to your core customer-base instead of speaking vaguely to a broader market. Currently in the United States, there are over 30,000 fitness centers which means there are many different options for people to choose from. Make sure your fitness center stands out amongst the competition in your area. If most of the fitness centers near you have annual memberships, try a commitment free memberships. Offer classes that are new or hard to find. Specials events geared toward your niche market will help you cultivate customer loyalty amongst your client base. People love promotions, and if done properly, promotions can mean big money for your fitness center. By offering prospective clients a deal, they will feel more inclined to sign up for your gym, especially if they feel this offer is only available for a limited time. Offering people a free five-day trial will help you get prospective customers in the door. Once the customer comes in, they’ll be more likely to commit to signing up for a membership. 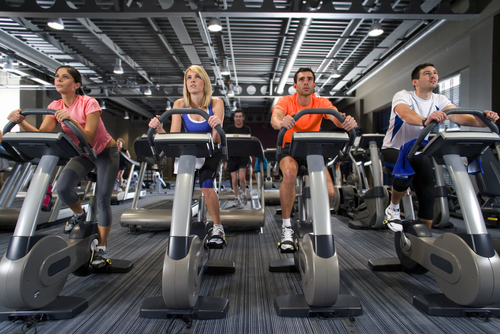 SinglePlatform helps gyms and fitness centers attract the most consumers. Learn more tips, tricks, and trends on our Instagram, Facebook, and Twitter.